Victoria premium WordPress theme is a very powerful template that comes standard with many features that make editing your site a breeze, whether you have extensive programming experience or not. 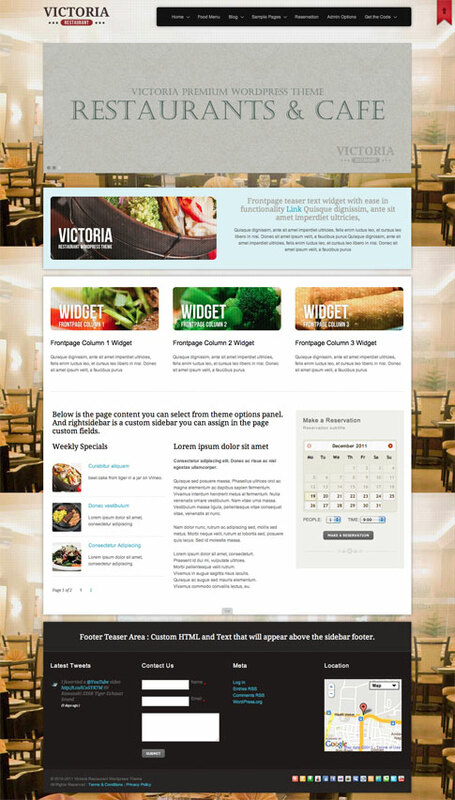 Victoria premium theme empowers you to change element colors such as backgrounds, text, links, menu links, typography, and more. Additionally, the main content block is placed before the sidebar regardless of the sidebar position, so it is crawled first by search engines. Check out the live demo of Victoria premium theme below! Come back and check out the showcase as we find more sites from around the web using Victoria.